I used my husband for the top picture! You might see him around live fit more often as he is also passionate about staying in shape and weight lifting! 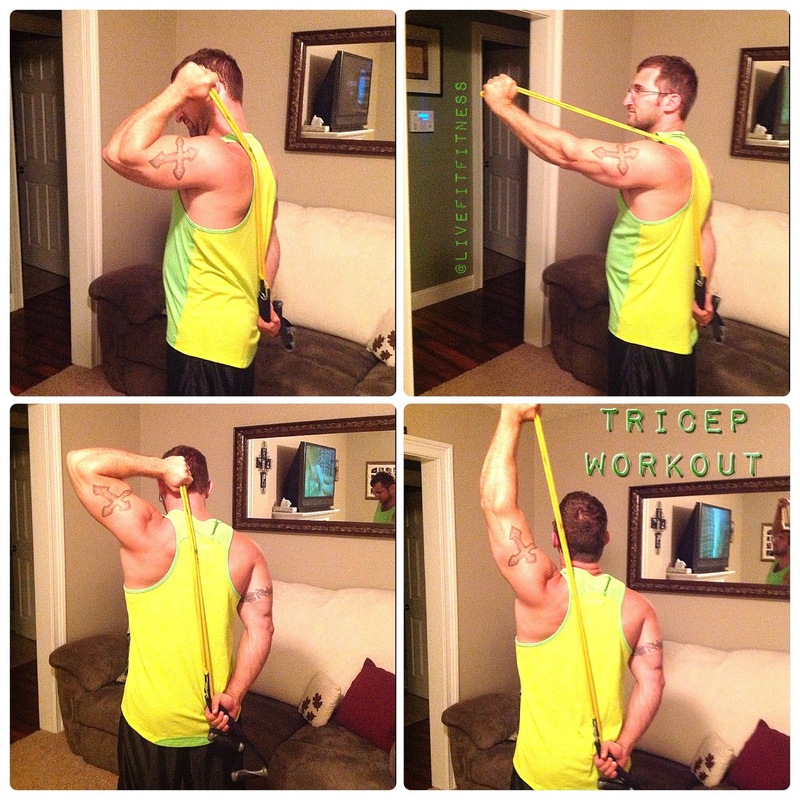 Top and bottom picture 1: Each working a different part of the tricep muscle. When lifting my triceps I usually go until exhaustion. Exhale as you press up and inhale as you release down. If you are new to weight lifting, I would go anywhere from 1-2 sets of 8-15 reps working your way up to 1-3 sets of 8-12 reps. Circuiting the exercises are also an option: this is going to give you the a quick workout in a short time. It Promotes strength, endurance, and allows you to incorporate cardio. You could run through all the exercises that I give you this week to create a routine that you repeat 1-4 times doing each exercise for 30-60 seconds. Top and Bottom Picture 2: The first picture is a chest press. Exhale as you press up and inhale as you release down. Adjust the resistance as necessary if the exercise is feeling to easy, shorten your resistance band and if it is feeling to hard give yourself some slack. The bottom picture is a chest fly. Inhale as your take your arms out and exhale as your bring them back together. Palms face each other, slight bend in the elbow, take your arms out and really squeeze them as you come in. The new exerciser I would recommend 1-2 sets of 8-15 reps and a experienced exerciser 1-3 sets of 8-12 reps. When I bought my tubbing I bought the resistance that I was training in and the the next highest color. 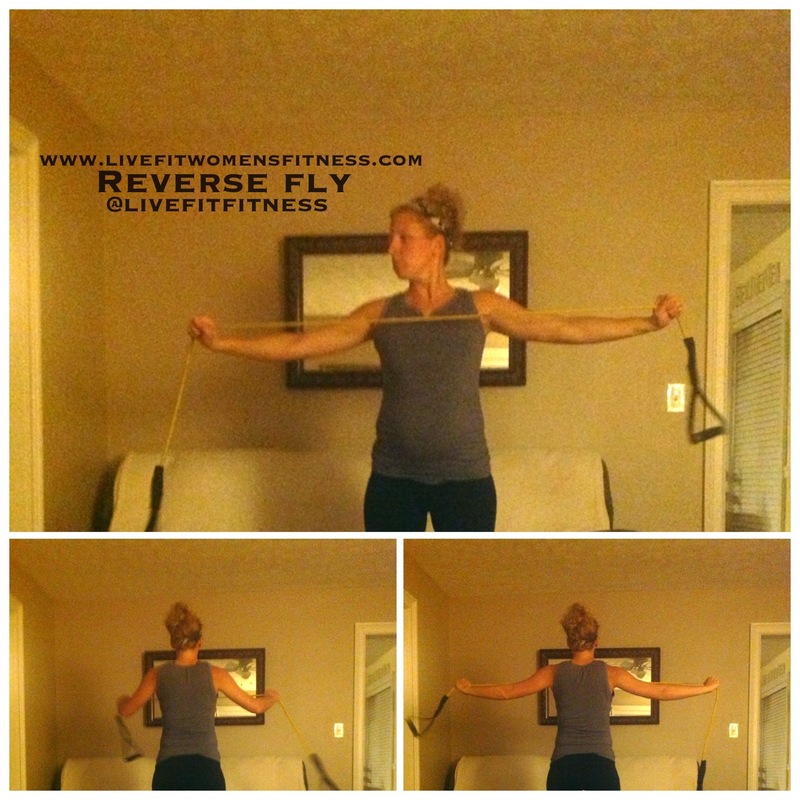 When I began to get stronger I had the resistance band on hand! 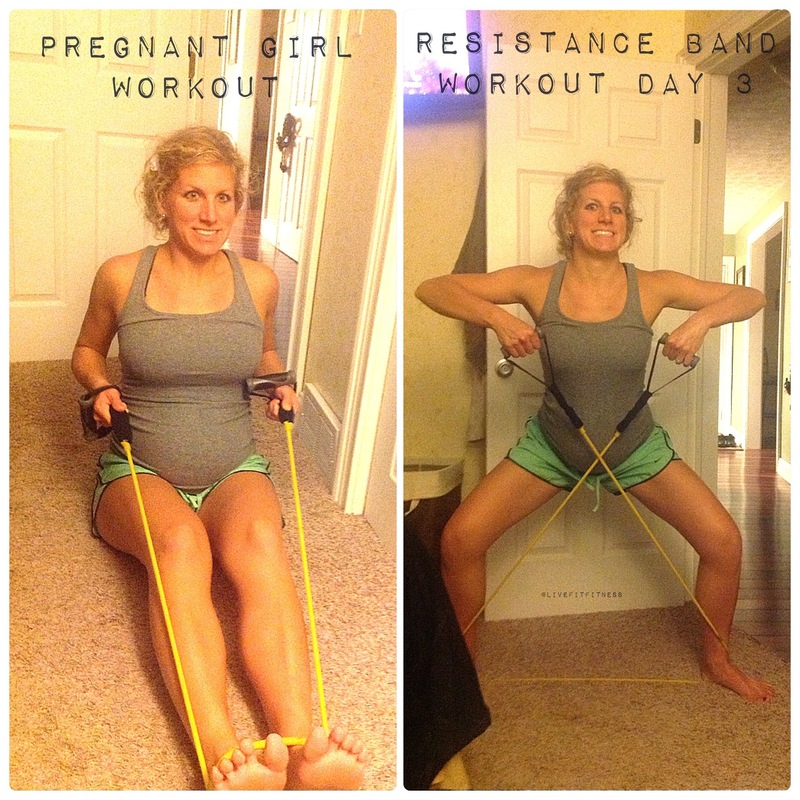 It’s Monday and everyday this week I am going to be posting new exercises that utilizes the resistance band. I am coming into my 7 month of pregnancy this week and have used this piece of equipment a lot throughout my pregnancy. 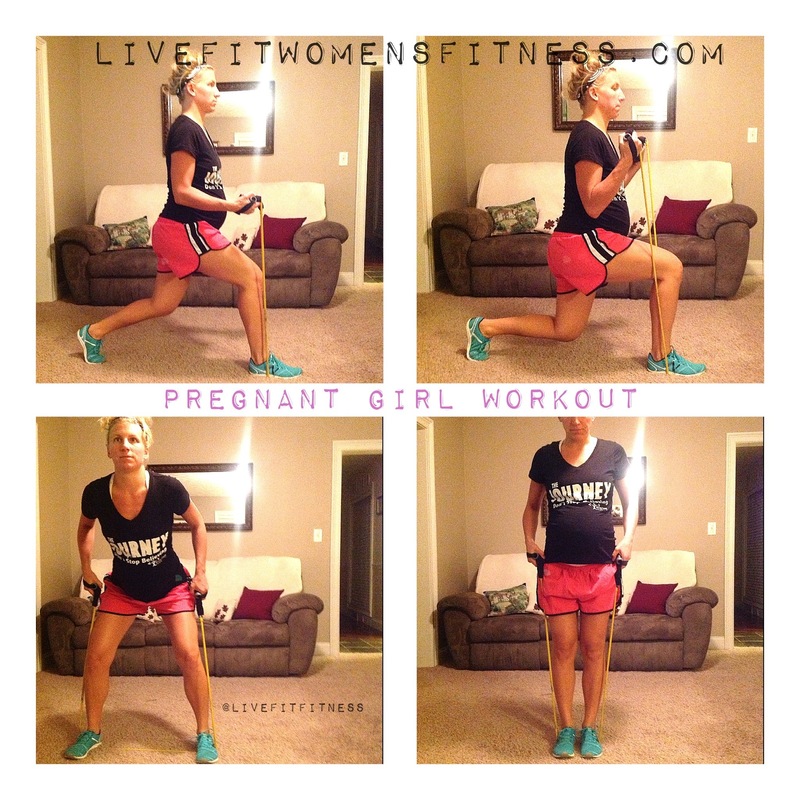 Even if you aren’t pregnant these exercises are great to incorporate into your current routine. 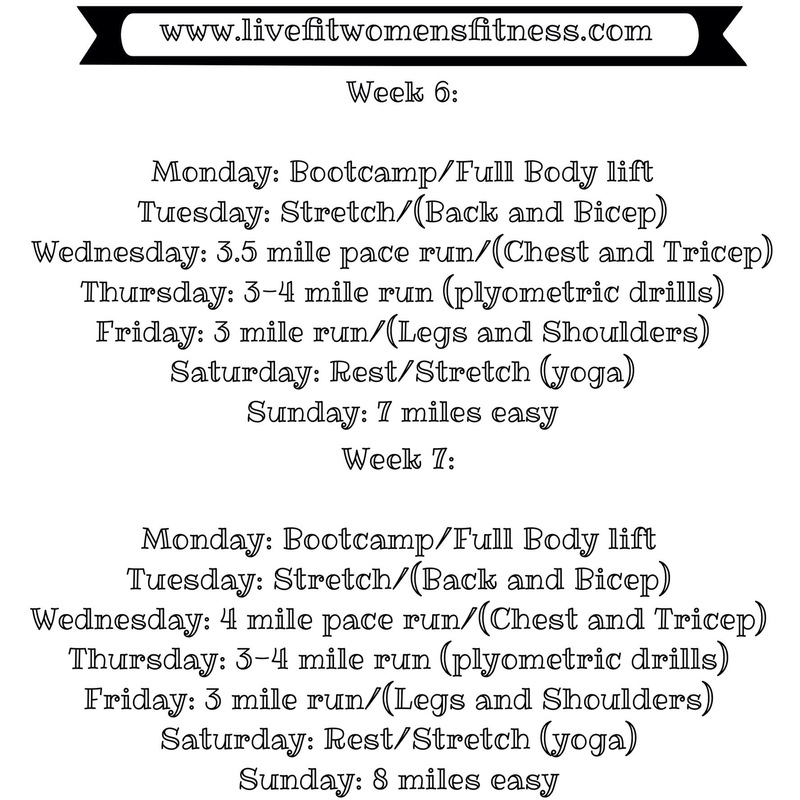 By the beginning of next week you will have a full body workout that you can use with the resistance band. You could write it down and keep your band with you on days you are pressed for time and still want to get a thirty minute burn in! Great do do on your lunch break at work! Make sure your knee isn’t going over your toe during the lunge, your shoulders are nice and tall, and torso is directly over your hips. Modification: You could do an alternating lunge by itself and quarter lunge, you aren’t getting as deep into the movement here (if you have had knee complications or surgery in the past). Take the band and place it under one foot to then perform the bicep curl by itself. Start in a Squat position with the band underneath each foot and hold the handles up at your hips. Bring your right leg together and then as you squat push your left leg out as you sit into a squat position keeping your handles up at your hips. Bring your legs together and then alternate to the right side. This is working your gluteus medius (outer hip muscles). Modification: Take the squat out of the exercise and have the handle bars at hip level underneath each foot and a slight bend in the supporting knee to perform leg lifts. Depending on your current fitness level I would recommend anywhere from 1-3 sets of 8-15 repetitions for each exercise. 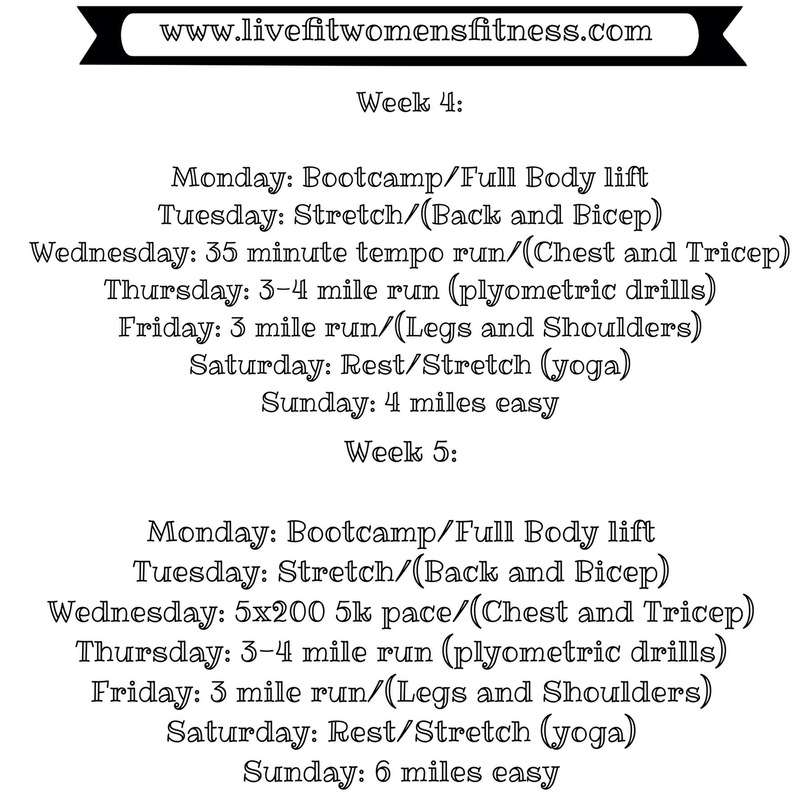 If you are just starting out use the modifications listed above and then gradually move to the more advanced exercises. Start with one set of 15 repetitions and work your way toward 3 sets of 8-12 repetitions over time. A good way to know you are ready to advance in resistance or more difficult exercises is when you are on your last set and last three reps can easily be performed. 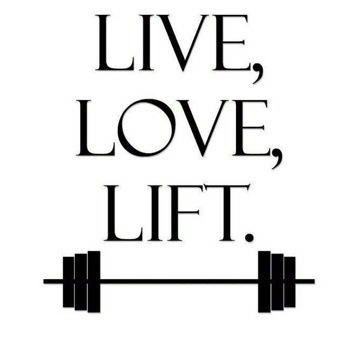 I will see you tomorrow for Chest and Tricep exercises! We are building a resistance exercise routine that you can take with you anywhere. Don’t forget pregnant ladies, keep on keeping on! I am starting to feel the final trimester burn out and am reminded that exercise gives me more energy, helps prevent back pain,improves my mood, helps my posture, helps me sleep like a rock, promotes and maintains: muscle tone, strength, and endurance! 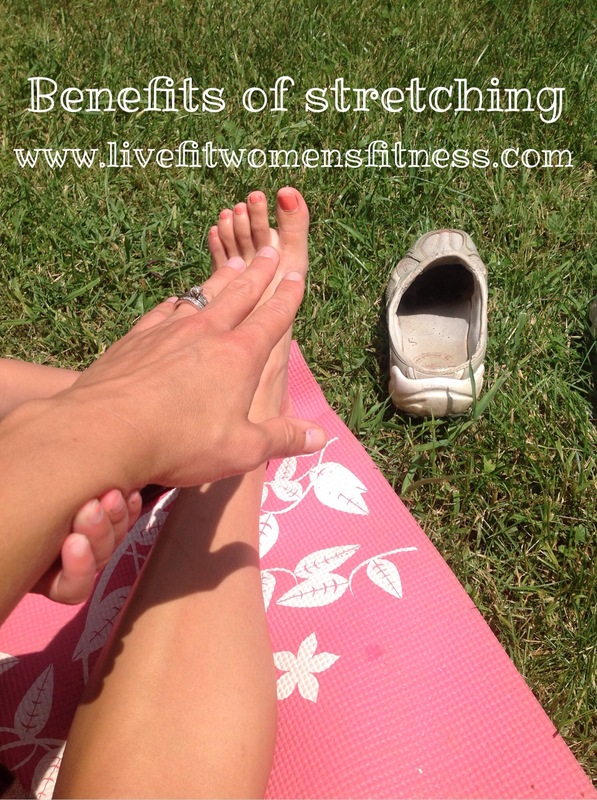 (Remember it’s always crucial to warm-up your body prior to working out and cool down the body, stretch once you have completed your workout. I am not liable to any injuries/health issues that result from exercises from this site. 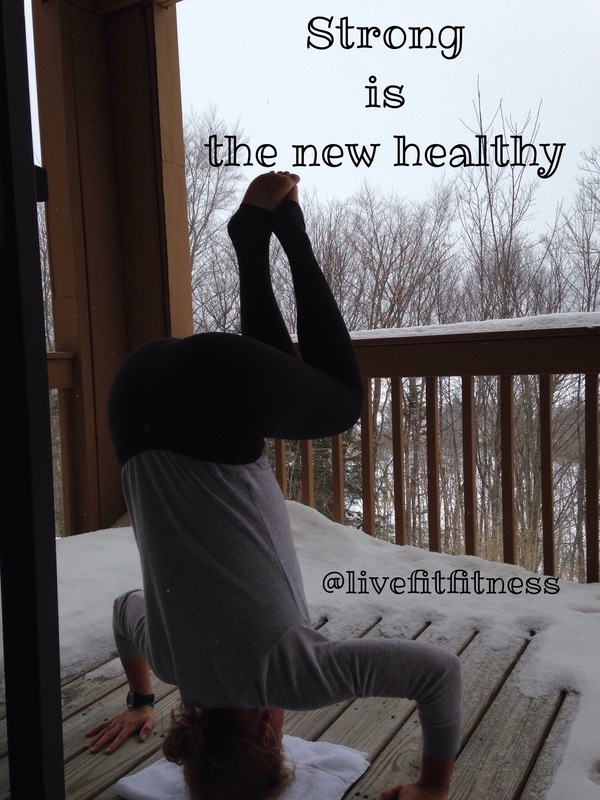 Consult with your healthcare provider before beginning any workout regimen. If you feel pain or any discomfort while exercising stop immediately). Post your Favorite Resistance Band Exercise, I Love New idea’s and sharing them with each other will only advance us more on our journey together!